Melanie started as a veterinary assistant at Tri City Animal Hospital in Elgin over 25 yrs ago and has enjoyed the field of veterinary medicine ever since. During her 20 years with Tri-City she grew from vet assistant to Office Manager. In 2009 she joined Pet Vet Animal Clinic as the Practice Manager, in her home town of Huntley. Pet Vet was a mixed animal practice along with providing mobile services. It was a very fun and interesting time for her and she has many happy memories from her time there. After 3 years at Pet Vet, she accepted a position as Hospital Administrator at Glendale Animal Hospital, in Glendale Heights. Her time there has been amazing. They have built a strong team and have created a culture that makes for a fun a friendly environment to work in. This past year they have been focusing on building a new hospital and she can honestly say it has been the most challenging time of her career! But they now have a beautiful facility and the space that allows them to practice best medicine. She is looking forward to just being a Hospital Manager again and not overseeing construction! Melanie has 3 children and 3 beautiful grandchildren. She resides in Winfield with her husband Todd and their dog Fletcher. Melanie and her husband enjoy traveling, music and trying new restaurants when they aren’t working on a new household project. Kim began her career in veterinary medicine in Michigan where she worked as a veterinary assistant throughout high school. In 1988, she completed the veterinary technician program at Macomb County Community College, and passed her VTNE. For 5 years, Kim worked as a LVT in both a small animal and emergency hospital. During this time she returned to MCCC for 1 year, but this time as an instructor in the veterinary technician program. In 1993, Kim decided to make the big move to Chicago and marry her high school sweetheart. In Chicago, Kim continued her work as a LVT at Blum Animal Hospital where she remained for the next 16 years. It was during this time she and her husband started a family and welcomed their 3 beautiful daughters into the world. While looking for ways to expand her career in veterinary medicine, the opportunity to become a practice manager arose. She happily accepted the position of Practice Manager at Roscoe Village Animal Hospital where she has successfully managed the practice since 2009. Kim became a member of the Chicago Veterinary Manager Group in 2015 and took over the role of Secretary in 2016. 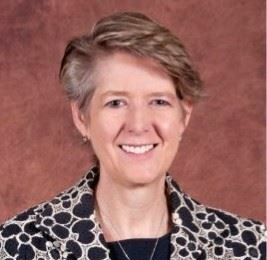 She is also a member of the Veterinary Hospital Manager Association, American Animal Hospital Association, National Association of Veterinary Technicians in America, the Humane Society Veterinary Medical Association, and the Illinois State Veterinary Medical Association. In her free time she enjoys spending time with her family and friends, their three rescue dogs Dallas, Dakota, Declan and their senior cat Felicity. She also enjoys gardening and volunteers with local animal rescue groups. She is an also an active member of her community and has been the Vice President of her community neighborhood association for the past 4 years. Kathy began her career as a radio and television news reporter rising to a role as news director at a midmarket station switching gears after several years to move into public and media relations in Chicago. She eventually moved into a sales and marketing role at a distribution company in the public relations industry. She became active in Chicago’s animal welfare community assisting Heartland Animal Shelter with its community outreach and media relations. Kathy has also served on the board for The Puppy Mill Project and assisted with their public relations. After working over 20 years in sales, she switched gears and followed her heart to work more closely with animals by joining Veterinary Specialty Center in Buffalo Grove as its first Marketing Director in March of 2014. At VSC, Kathy spearheads their continuing education programs and has helped grow the organizations daylong programs – VSC’s Veterinary Education Conference and Veterinary Business Conference and a fall program aimed at a specific specialty. She is working with VSC’s Counselor to develop a Veterinary Wellness Education Day for the spring. Along with educational programs, Kathy is editor of VSC’s newsletters and also oversees social media and media relations for the company. She loves being part of an independent, locally-owned practice that puts as much emphasis on a great work culture as it does practicing great medicine. Kathy lives with her husband and their cats Max and Ellie. Max is a certified therapy cat who loves to participate in reading programs at the Lake Bluff Library and has also worked in a local nursing home with Alzheimer’s patients. When not working or hitting the road with Max, Kathy loves going out to eat, traveling, going to movies and cheering on her Chicago Cubs with her nephews. Matt had a childhood filled with animals. His parents were animal lovers and fostered a passion in his siblings, and himself for critters of all types. The most unique pet they had in his youth was a litter trained rabbit, Thumper, who thought he was one of the dogs. Thumper slept with the dogs, ate with dogs, and even liked to go outside with dogs. His exposure to veterinary medicine and animal care came at an early age as his first pet dog was epileptic and had seizures. He believes it was the awareness of his condition and required medication and care that inspired his younger self to dream of a career caring for animals. 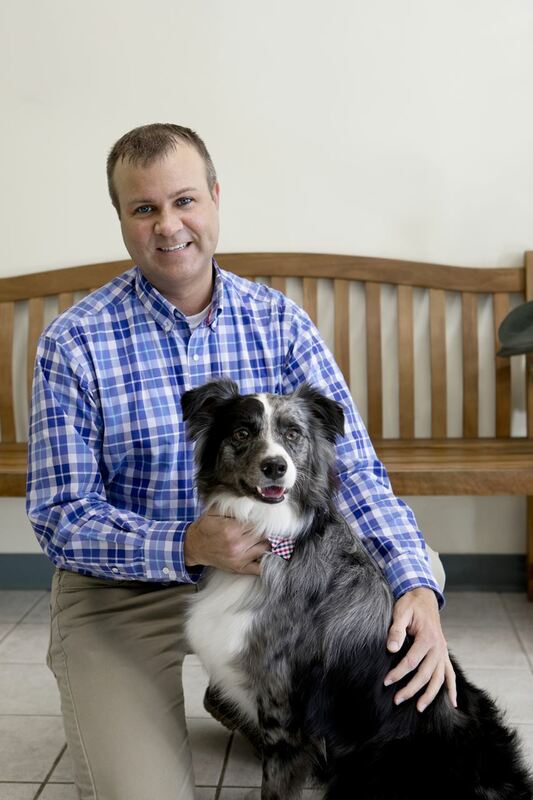 Matt attended the veterinary medical technology program at Joliet Junior College and graduated and passed his national veterinary technician board examination in 2005. He then earned his Bachelor degree in Business Administration and Entrepreneurship from Governors State University in 2015. Matt joined Animal Care Hospital of Morris in 2002 as a dog bather while he worked his way through vet tech school. He also held positions as a kennel attendant, and technician assistant. After graduating from JJC, he worked as a certified veterinary technician, ultimately finding a home in the Hospital Manager position. Matt is the founding president of the Chicagoland Veterinary Manager Group, and wrote the original articles of incorporation and constitution of the CVMG. He has also served as past-president, secretary and treasurer for the CVMG. He is so proud of the type of organization the CVMG has become. The network of managers throughout the Chicagoland area has become one of the most valuable resources to him in his career in veterinary hospital management, and our C.E. events are world class! At home he and his partner care for a very exuberant yet sweet young Australian Shepherd, Bumi, a middle-aged opera singing Bengal cat, Mardock, and a sagely, yet spry geriatric Siamese, Brahm. Matt is an avid reader of books, a bit of a science fiction/fantasy movie and television show nerd, and a huge Anglophile when it comes to British television programing. His spare time activities include camping, archery, and spending time with his very large family and group of friends. Matt loves to cheer for the unexpected underdog or success of others and will wave at or say “Hi!” to animals that he may see from his car while driving down the road. Policy Creation and Implementation, Setting Staff Goals and Rewards, Cleaning up Toxic Culture. Rosemary has held operations management positions in the healthcare and veterinary medicine industries for a number of years. She recently returned to Chicago after living in the Northeast for a few years. Rosemary was an active member of the CVMG prior to moving out east. She is looking forward to serving on the board and would like to help expand membership. In her spare time she enjoys travel, hiking, live music and long walks along Lake Michigan with her dog Jackson. 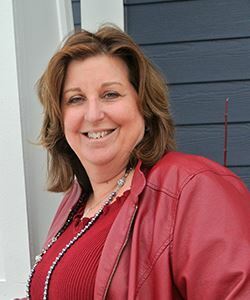 Rosemary is currently the Hospital Administrator for BluePearl in Northfield. From a very early age, Courtney-Amber would tell her parents she was going to be a veterinarian. At the age of 15, she started her first job a kennel attendant for a veterinary hospital in one of northern Chicago suburbs. This role allowed her to learn about proper care for the patients and facility. She worked her way up to a technician assistant and eventually an unlicensed technician. Along the way, she realized she did not want to be a veterinarian but instead, a technician. In this role she truly felt she was an advocate and caregiver to her patients. Courtney earned her certification as a veterinary technologist in 2010. She spent 12 years working in specialty medicine including emergency and critical care, specialty surgery, and internal medicine before taking time off to raise her son. Courtney returned to general practice working in veterinary management. As a manager, her hope is to inspire, mentor, and train veterinary support staff to ensure clients and their pets receive the best possible care. Her professional goal is to specialize as a Certified Veterinary Practice Manager. In her free time, Courtney enjoys gardening, photography, swimming and spending time with her son, dog, and 2 cats. Cheryl obtained her AAS in Veterinary Science in 2001 from Bel Rea Institute in Denver, CO. She was a lead technician for 6 years at an emergency/specialty practice, that was when she knew she found her passion for Veterinary Medicine. She developed, and currently runs, Complete Veterinary Team Services where she strives to provide and encourage the development of Certified Veterinary Technicians throughout Chicagoland. 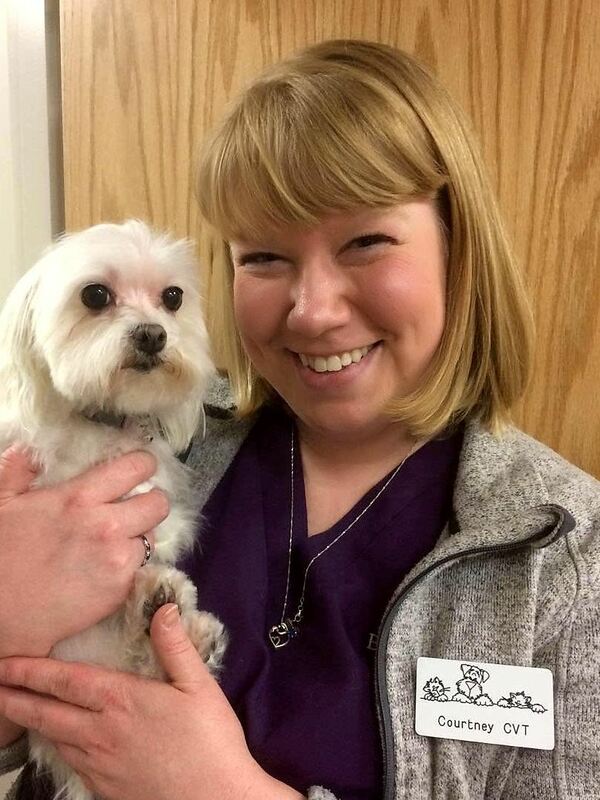 She is also very excited to be part of a great team as Practice Manager at Abell Animal Hospital in Chicago. In her free time Cheryl enjoys traveling, gardening, coaching, and spending time with her husband and 4 beautiful children. After working in a veterinary clinic for nearly 20 years, Tara has switched gears in her career as of April of 2018. Even though she has left the veterinary field, she will continue to provide support and website administration for the CVMG. Tara and her husband reside in Grayslake with 4 cats (Riley, Emma, Desato, Zoey) and a crazy shih tzu/poodle mix (Mia Gale). They also cater to the neighborhood stray cat which has taken up permanent residence outside their home. They have named her Sassy, and they provide a heated outdoor cat house, monthly flea and tick prevention, plenty of food, water and as much affection as Sassy will allow.